Breakfast was always a fun time and somewhat an adventure. Each region of Iran has a different kind of bread نان (non). There is a standard mass produced looking like of نان which looks like it was made in a conveyor belt and reminded me of those plastic bubble wrap. 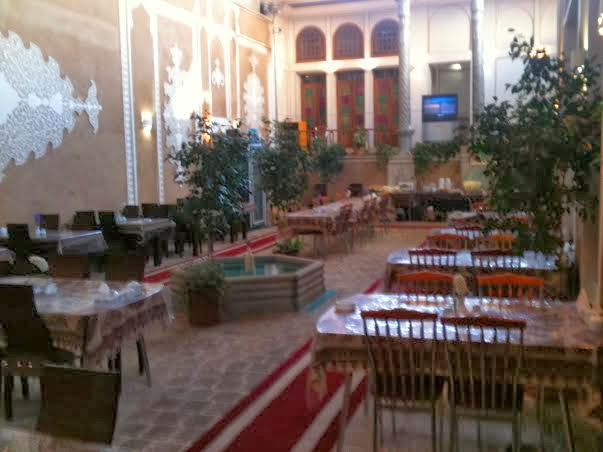 Once leaving Tehran and heading to different places like Shiraz or Yazd, the نان becomes more fascinating and made breakfast even more of an adventure. 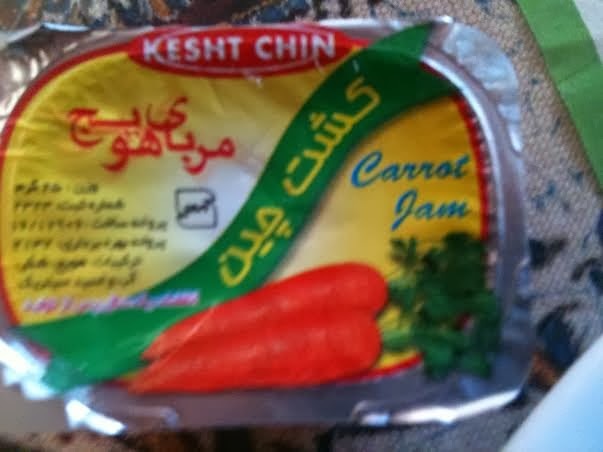 We marvelled about the great tasting vegetables here in Iran. The tomatoes were especially marvellous and very tasty! Inside this heated container was some kind of chopped hot dogs with red sauce, probably made of chicken. I passed it up. 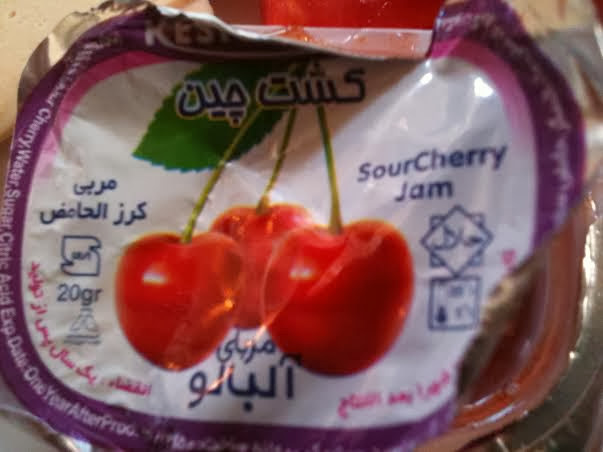 I especially liked trying these different jams on the exotic bread. I also brought some favourite tasting ones back home to my kitchen, even the Iranian feta cheese. This bread was made over pebbles. I had to pick out some pebbles from the bread before they broke my teeth. This is a good tasting jam. It needs a bit of cardamon! My friend called this breakfast "dog biscuit" and a dollop of the Iranian version of Nutella. 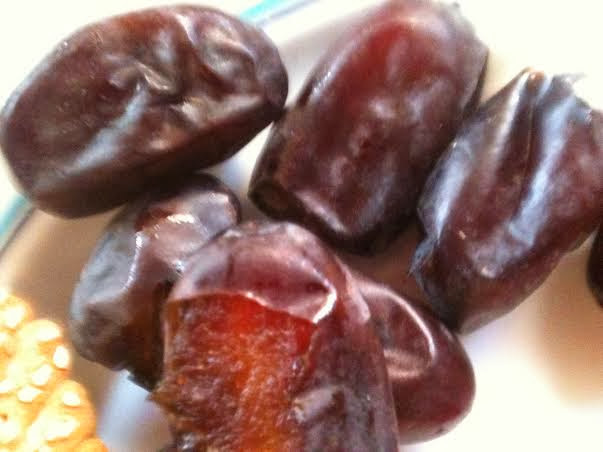 Dates were a wonderful staple to breakfast! 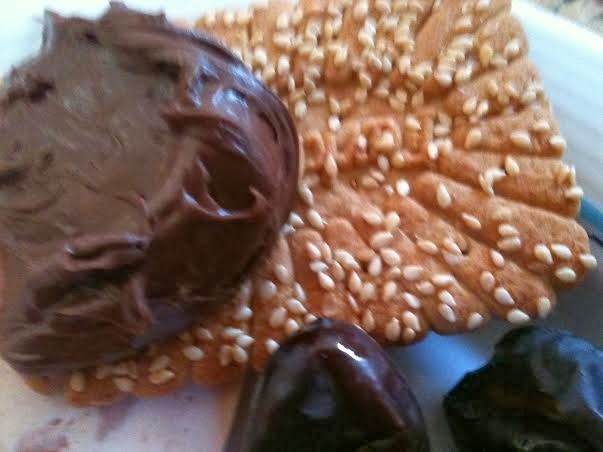 In some places there was a sesame paste ( tahini) with sesame seeds over the dates and it was gorgeous to eat with نان ! There were various varieties of Iranian cheeses according to the region travelled to. I really enjoyed sampling them throughout the country.